Each year, a new group of young golfers joins the PGA Tour, hoping to succeed on the sports highest level. For many of these golfers, it takes a while to get settled into life on Tour. A fortunate few learn quickly and do well right out of the gate. These 3 young golfers are the latest examples of those that perform well right away. 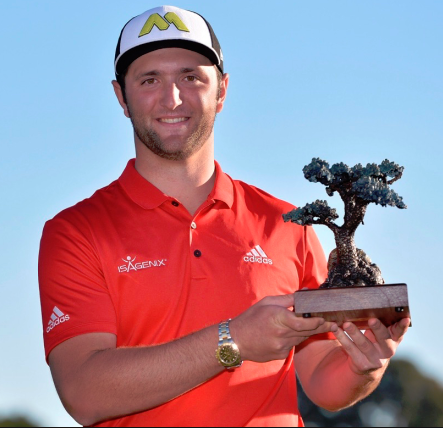 Spaniard Jon Rahm has been making a ton of noise since he first burst onto the scene. Rahm officially turned Pro after the 2016 US Open but had already turned in 2 top 10 finishes on the PGA Tour as an amateur. With a third place finish at the Quicken Loans National and a runner-up at the RBC Canadian open, Rahm had no problem securing his card for the 2017 season. Then came this year’s Farmers Insurance Open. Rahm entered the last day in 13th place and played a mediocre front nine. He caught fire on the back with an eagle at the par 5 13th, followed by a birdie at the par 3 17th. On the final hole, Rahm went for the green of the par 5 in 2, knocking the ball onto the back fringe. The 22-year-old calmly drained the downhill, 60-foot putt, carding a 30 on the back nine! The putt gave him the outright lead and he held on for his first PGA Tour victory. Rahm followed up his victory with 3 top-5 finishes in his next 4 events! Currently ranking 4th in the FedEx cup rankings, Rahm looks to have truly arrived on Tour. 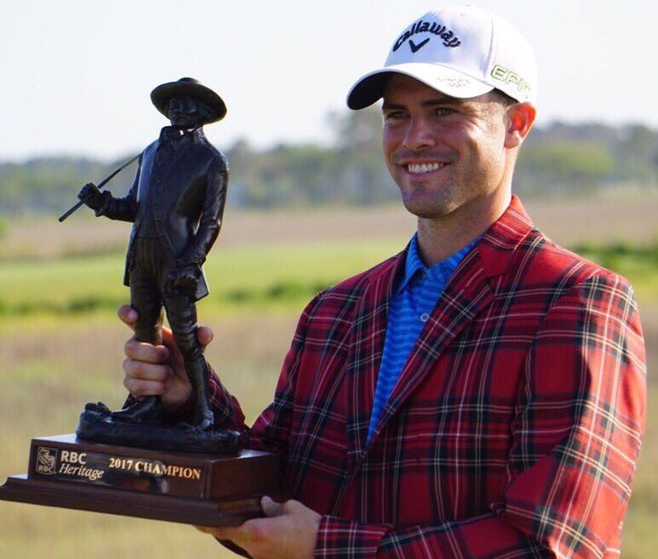 Until this year, Wesley Bryan was best known for his trick shot videos with his brother, George IV. He is doing a great job of moving past this image, rapidly transforming into a mainstay on tour. Wesley played golf for the University of South Carolina and scored two wins in college. After graduating, he started playing on the mini tours, earning his Web.com Tour card for 2016 by finishing 9th at qualifying school. A magical year on the Web.com Tour followed, getting 3 wins. Bryan also became just the 11th player to earn a promotion to the PGA tour with 3 victories in a year! Wesley’s 3 victories in 2016 earned him the Web.com Tour Player of the Year. This year on the PGA Tour, Wesley has seen quite a bit of success. He has 4 top 10 finishes, including his first tour win at the 2017 RBC Heritage. As a native South Carolinian and playing his college golf in the state, the win at Harbor Town was that much sweeter for the 27-year-old. 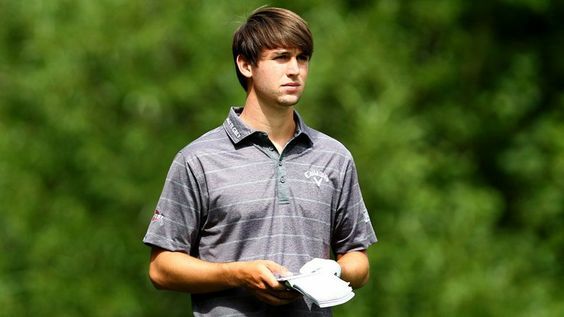 Ollie Schniederjans has become known for his lack of wearing a hat. One thing that is not lacking is his game. As an amateur, he held the #1 spot for 41 consecutive weeks. As a result, Ollie was invited to play at the U.S. Open and Open Championship in 2015. Not wasting the opportunity, he finished T42 at Chambers Bay and T12 at St. Andrews. His good performances made the decision to turn pro an easy one. Schniederjans’ first tournament as a pro was the 2015 RBC Heritage. If he was nervous, he didn’t show it, posting a score of -9, which was good for a T22 finish. Ollie played mostly on the Web.com Tour the following year. He only missed 2 cuts that season and took home the title at the 2016 Air Capital Classic. Ollie’s solid play earned him his PGA Tour card for the 2016-17 season. While he struggled in his first few starts of the season, missing 3 straight cuts, he quickly turned things around. Since the last missed cut at the end of 2016, he’s only missed 2 cuts in 14 events. Ollie also has 4 top-10 finishes and currently sits 35th in the FedEx Cup rankings. It’s hard to say, exactly, how these 3 young golfers (and any like them) will fare going forward. However, the talent level they have already shown points to a bright future. It will most certainly be fun to watch what happens! 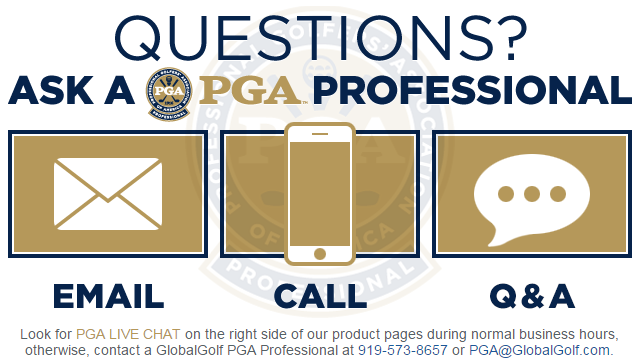 Rudi Fann has been a Class “A” member of the PGA of America since 2008. He began his career in 1998 as the Assistant Golf Professional at Wake Forest Golf Club in Wake Forest, NC. In 2002, Rudi accepted a similar position at Rio Mar Country Club in Rio Grande, Puerto Rico. He spent a year there before moving to Nipomo, CA where he worked at Blacklake Golf Resort. Over the next 10 years, he worked his way from Assistant Golf Professional to Head Golf Professional and finally Director of Golf Operations. In his time at Blacklake, Rudi devoted much of his time to running tournaments and other activities in order to create a social atmosphere at the club. After Blacklake, Rudi spent one year as Head Golf Professional at Paso Robles Golf Club before deciding to return home to North Carolina. Since returning to North Carolina, Rudi has worked with the First Tee of the Triangle helping to instill life skills and core values through the game of golf to local youth.